As you know, I have a new Windows 10 machine. There have been few systems in my life I haven’t been able to open up and mostly figure out. For those things that did stymie me, a quick Google search once Google became a thing was usually able to fix them. I admit, I have less time and less patience these days, and Windows 10 has been a steeper learning curve than I would like. 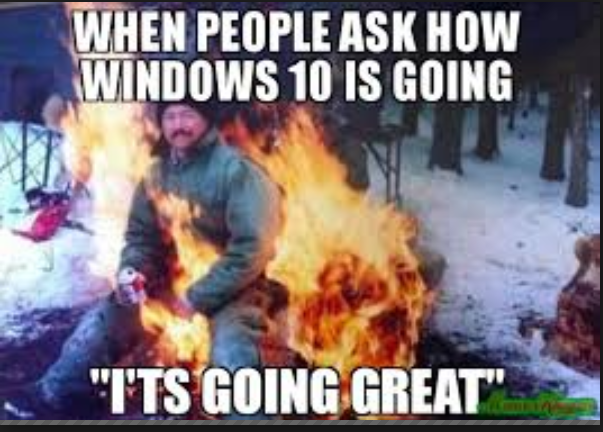 Actual footage of a Windows 10 user. This thing cries more than newborn. It’s constantly beeping at me. I have no idea why other than it misses me. I have turned off notifications, but it still feels chatty. I have “solved” this by plugging speakers into the laptop and then turning those speakers off. But really? Who would want to be beeped at for every new e-mail, Facebook post, Twitter notification or whatever other reason it is that it won’t shut up? It needs me. It misses me. The moment I look away from it, the screen dims in sadness. If I walk away for a minute or two to stir something in the kitchen and come back, it’s already locked itself down. Seriously, WTF? Do you know how hard it is to make supper off Allrecipes when I can’t look away for even a moment? Yes, I’ve changed the time for when it “goes to sleep” to 30 minutes. Apparently, this control is hiding somewhere else. Going along with the second point, the darn thing stops working if I walk away from it. So while I’m loading the 120 GB of data from my other computer on to this one, I had to sit in front of Windows 10 for it to allow the loading process to continue. I spent this time surfing Google to try to figure out how to make it work without supervision, but apparently Windows 10 is like the AR clerk we had a few years ago. If you weren’t watching him, he wasn’t working. Okay, overly dramatic, I know. But frustration that turns to anger is seldom reasonable. I searched for the control panel. It’s gone. There’s a settings option now, but you have to hunt for some of the stuff that was in the control panel. It’s not even kind to all Microsoft software. For example, the Microsoft Money file would NOT import into the new machine. I saved it down a couple of different times and tried to import it. It kept erroring out. I finally had to create a new file in the Windows 10 version and hand-key in all of the information I wanted from the old Money file. Because that was a hour well spent. I get that this is where security is going. I understand that. I don’t have to like it, but I understand it. 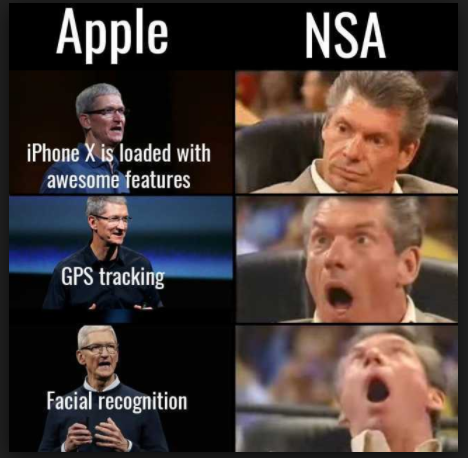 Still, the facial recognition seems to work about 10% of the time. The rest of the time, I have to input my pin code. Thank goodness it at least allows for a pin code. Yeah, I know, but do you know what romance authors research? I’m sure there will be more issues as I continue to work through this new system. Things have changed a lot in the almost eight years since I bought my last computer. I will say, however, that given the troubles I’ve had, my next computer may very well be a Mac. Yeah, I feel your pain. 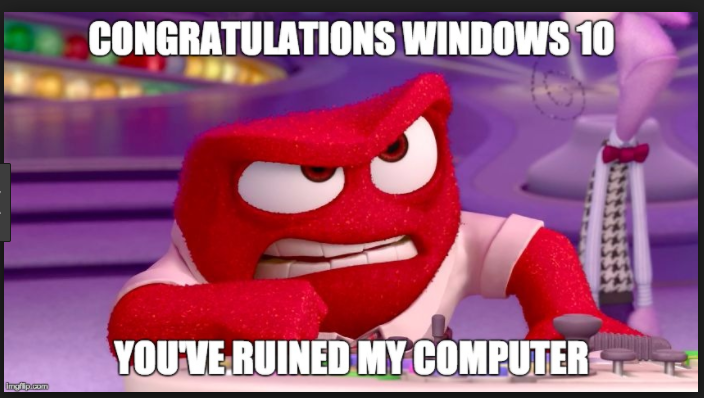 I spent hours trying to get the stupid laptop [which I rarely use] to behave – including cutting off all the M$hit surveillance and updates when I’m on a capped monthly download…grrr.